AC/DC is a band based in Australia. The band was formed in 1973 by two brothers Angus young and Malcolm (The Official AC/DC Site). The two had a tight connection and support for the band ever since until the illness and departure of Malcom this year. There were additional members to the band that consisted of Larry van Kriedt, who was the base leader, a vocalist Dave Evans, Colin Burgess and drummer Masters Apprentices. The band received support towards its success by one of Australia’s legendary Ray Arnold together with his partner Allan Kissack. The first performance of the band was an invitation to play on the new years eve of 1973 at Bondi lifesaver (The Official AC/DC Site). The band is considered a pioneer of heavy metal and for this reason it is well known as hard rock or blues rock band. Since their foundation, the band has held one of the highest grossing impacts in the rock industry despite considering themselves as simply rock and roll. The first album of the band was dubbed High Voltage, and was released in February of 1975 (The Official AC/DC Site). There were several changes that occurred before the release of this album; the band took Bon Scott as the lead vocalist, and Mark Evans remained on the base guitar and Phil on the drums. Some of the members deviated leaving the pioneers still stabilizing the band that was attained in 1977. 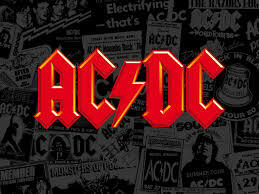 The idea of the band was conjured, deciphered and developed by Malcolm and Young after their sister Margaret Young brought forth the AC/DC concept as she saw the initials on a sewing machine. As the alternating and direct current, the brothers felt that it symbolized the raw energy and potential of the band and the power that drove their performances. However, the colloquial name of the band is Acca Dacca and is well known in Australia. Currently, the band enjoys a high performing and highly rated fifteen albums that are acclaimed worldwide. The success of a record label’s album release relies on a well-researched, augmented marketing plan. The marketing plan is tailored towards the target market and projected sales (Sa Dias). A good marketing plan for a record label or band in this case should adopt an algorithm. The algorithm should align the goals and objectives of the label and tailor them towards the expectation of the masses. The success of the AC/DC and can be attributed to the constant high-performance levels that meet the expectations of the clients (The Official AC/DC Site). Music lovers are driven by any new upcoming album especially if it has hit songs. In this case, the band gunners massive and loyal followers who are eager and dedicated to promoting the efforts of the band via buying their albums and attending all concerts and performances. A band that has gained popularity like the AC/DC has a high probability of penetrating the market in the sale of a new album due to the loyalty of the fans (Sa Dias). However, despite this, a marketing plan must be adopted to ensure that the return on investment is recovered, and the band enjoys better performance both on stage and in the market. According to Forrest and DeVoe, a marketing plan is the cornerstone of every release by a record label (Forrest and DeVoe). It is the foundation upon which the various aspects of promoting a record label are coordinated. In promoting the album, there are two dimension that have to be considered in the market (Forrest and DeVoe). The two are the consumer and the trade. Maintain the name of the band to a high elevation is practically essential for the future of the band. On the other hand, meeting the expectations of the consumer is important in cementing loyalty and increasing the consumer base. The music market is ever changing due to changes in listener and follower preference and as such, there may lack a documented approach towards marketing an album. Therefore, each album may adopt a slightly different approach to its sales technique based on the current demands and market changes. In addition, the dynamic nature of the music industry makes it impossible to adopt the same selling tactic across all the albums of a recording label.